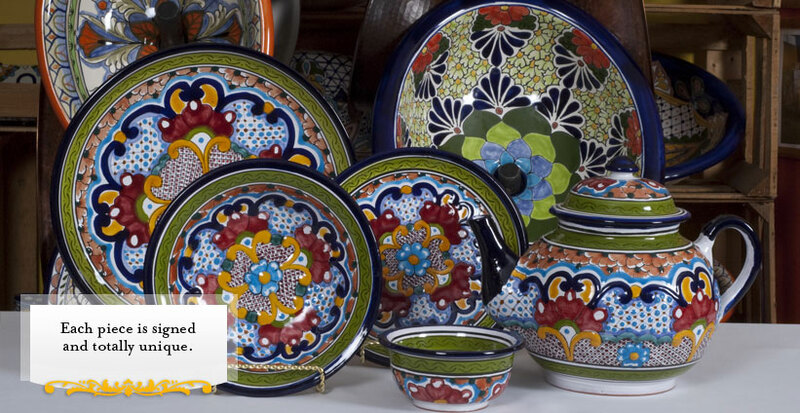 Talavera from Puebla, is created by a process that makes it decorative but also functional. Made by professional artisans, each piece is signed and totally unique. The manufacturing of Talavera starts with mixing of two types of clay that are stumped with feet which is then left to dry for 2 weeks. Once the piece is shaped it is fired at 900°C for 8 hours, coated and hand painted (without lead). The ceramic must be fired a second time at 1100°C in order to get the bright colours Talavera is know for.